FOR IMMEDIATE RELEASE – HILLSBORO, OREGON and VANCOUVER, CANADA – March 1, 2011 – Clean Water Services and Ostara Nutrient Recovery Technologies Inc. have partnered to install an innovative nutrient recovery facility at Clean Water Services’ Rock Creek Advanced Wastewater Treatment Facility in Hillsboro, OR. This will be Ostara’s second installation of a commercial Pearl® Nutrient Recovery System at a Clean Water Services’ facility. Upon completion, the Rock Creek facility will be the largest Pearl facility in the world. Ostara’s first commercial Pearl Nutrient Recovery System began operating at Clean Water Services’ Durham Advanced Wastewater Treatment Plant in June 2009. The Rock Creek facility will commence construction this summer as part of the plant’s expansion, and is expected to be fully operational by fall 2011. The facility will feature two Pearl 2000 fluidized bed reactors, significantly larger than the systems currently installed at the Durham facility in Tigard, and in Ostara’s other commercial facilities in York, PA and Suffolk, VA. Clean Water Services’ Rock Creek Advanced Wastewater Treatment Facility cleans 39 million gallons of wastewater a day from the municipalities of Hillsboro, Beaverton, Forest Grove, Cornelius, North Plains, Banks and Gaston as well as Aloha, Bethany, Cedar Mill, and Rock Creek. 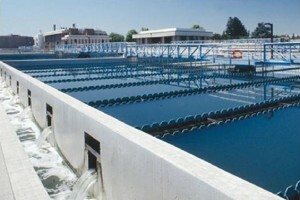 A common challenge for wastewater treatment facilities such as Rock Creek is the over-accumulation of phosphorus in the equipment resulting in the formation of struvite scale, a concrete-like mineral deposit which congests processing equipment adding significantly to operating and maintenance costs and threatening plant reliability. Ostara’s Pearl process will help Clean Water Services overcome these challenges at Rock Creek with the recovery of up to 95 per cent of the phosphorus and 20 per cent of ammonia from the liquid wastewater stream at the Rock Creek facility, which will then be transformed – through a chemical reaction in Ostara’s proprietary fluidized bed reactors (Pearl 2000) – into an environmentally friendly, slow-release fertilizer marketed as Crystal Green®. As the world’s first environmentally safe, slow-release fertilizer made from recovered nutrients, Crystal Green is ideally suited for the nursery, turf and specialty agriculture markets. It is sold through national and regional commercial fertilizer blenders across North America. A single application of Crystal Green on turf can replace multiple applications of phosphorus from other fertilizer blends, potentially reducing costs. Clean Water Services is a water resources management utility for more than 520,000 people in urban Washington County and small portions of Multnomah County, Clackamas County, Lake Oswego, and Portland. Clean Water Services operates four wastewater treatment facilities, constructs and maintains flood management and water quality projects, and manages flow in the Tualatin River to improve water quality and protect fish habitat. Although Clean Water Services maintains a close working relationship with Washington County government, it is a separately managed and financed public utility. 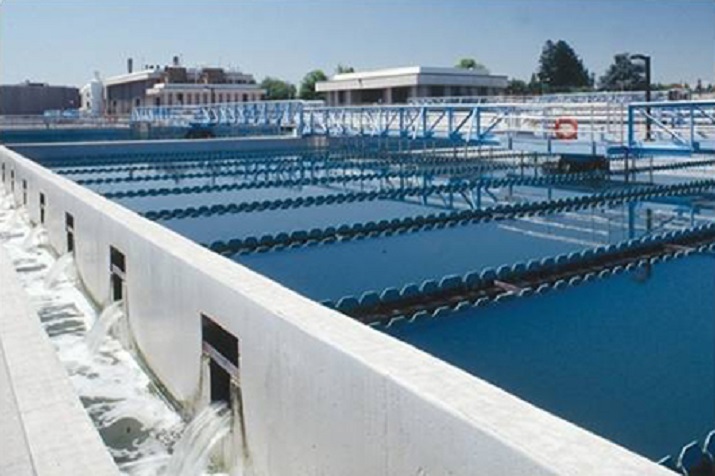 The Rock Creek Advanced Wastewater Treatment Facility, located at 3235 SW River Road in Hillsboro, Oregon, won the Environmental Protection Agency (EPA) 2006 National Clean Water Act Recognition Award for operations and maintenance excellence in large facilities with advanced treatment. The facility cleans 39 million gallons of wastewater on an average day, discharging water so clean it improves Tualatin River water quality. The utility’s Durham Facility won the award in 2005, for back to back top national honors. Ostara Nutrient Recovery Technologies Inc. designs, builds and sells a new generation of water treatment systems – a nutrient recovery solution that creates value from waste by removing nutrients from wastewater and transforming them into revenue-generating, environmentally friendly commercial fertilizer, called Crystal Green®. Ostara is backed by VantagePoint Venture Partners in the U.S. and Frog Capital in the UK. In September 2010, Ostara was named a 2011 Technology Pioneer by the World Economic Forum. In 2009 and 2010 Ostara was named one of the Top 100 Global CleanTech Companies by The Cleantech Group & The Guardian, a London-based media group. For more information: visit www.ostara.com and www.crystalgreen.com. Gwinnett County is unveiling this week a system that will allow it to extract phosphorus from its wastewater to sell as fertilizer. 17 October 2015 – With the new technology, the county could profit from something that has cost money to dispose of in the past. Phosphorus exists in human waste, and has to be removed before treated water can be sent back to lakes and rivers. Under the old system in Gwinnett, phosphorus built up in pipes and hardened when it was mixed with other chemicals. It had to be scraped out at a cost of about $100,000 a year and sent to landfills. The county’s new nutrient recovery process removes phosphorus before it hits those pipes. Instead of throwing the phosphorus away, the county now sells it to the Canadian company Ostara, which in turn provides it to golf courses and farms. 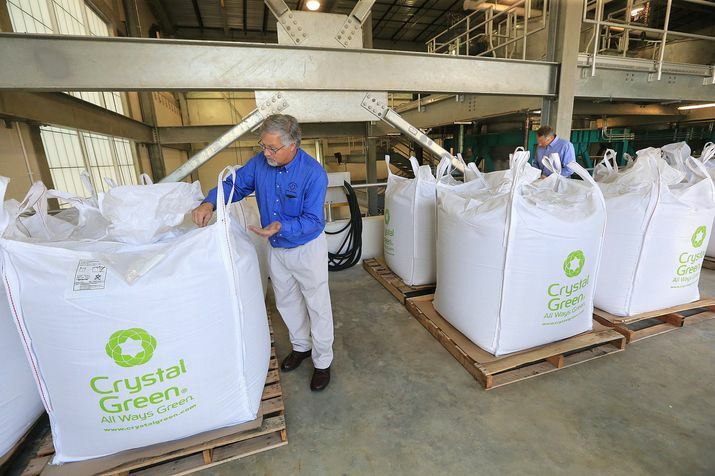 Gwinnett spent $15.2 million to became the ninth facility in the world to have the technology produced by Ostara and is currently responsible for about 20 percent of the company’s production of fertilizer “pearls,” known as Crystal Green, Ostara CEO Phillip Abrary said. Abrary said the process allows the county to “upcycle” what had been waste phosphorus in the past into a slow-release, environmentally friendly fertilizer. The county expects to make about $220,000 a year through fertilizer sales. In addition to saving $100,000 annually in pipe cleaning costs, Gwinnett expects to save $600,000 a year in chemicals that it no longer needs to purchase and $250,000 a year in reduced waste disposal costs, said Ron Latimer, vice president of Hazen & Sawyer, a consulting firm. The project is expected to recoup its cost in 10 to 15 years. Gwinnett has one of the strictest phosphorus limits in the country because of an agreement with the Lake Lanier Association, said Jeff Boss, deputy director of facilities for the Department of Water Resources. Letting too much phosphorus back into Lake Lanier, where the plant discharges its water, leads to algae blooms. After phosphorus-heavy liquid is drained from solid waste at the treatment plant, it is mixed with an ammonium-filled liquid. When the two mix in a reactor, they create small, phosphorus-heavy seeds. Instead of coating pipes, the phosphorus pearls are now being sold back to Ostara as fertilizer. Gwinnett is the first place in the state using the technology, but the city of Atlanta recently requested proposals for a similar project. With the installation of the nutrient recovery system, the county is moving even further away from using the F. Wayne Hill Water Resources Centeras simply a facility for treating water, Boss said. In addition to making fertilizer, the plant uses excess methane to power a generator at the site. It has recently purchased electric vehicles for travel around the area, which are powered by the generator. The department is also beginning a study to clean wastewater well enough that it can be used as drinking water without having to be released back to Lake Lanier and cleaned again. The county will continue to look for ways the plant can make money off the waste it processes. In addition to helping to save money, Latimer said, the processes are better for the environment.